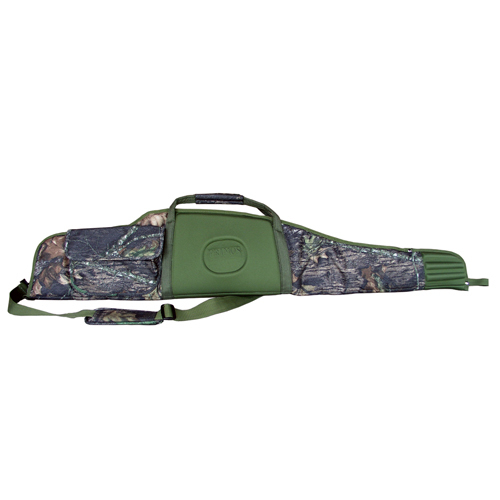 The Primos Scoped Rifle Case is constructed with a high-density foam padding on the inside and water resistant canvas material on the outside. The shoulder strap is detachable and has a no-slip pad. There's an accessory pocket for carrying those extra necessary items like ammunition. Protect your gun with the Scoped Rifle Case from Primos.